Welcome to Day 1073 of our Wisdom-Trek, and thank you for joining me. Hello, my friend, I am Guthrie Chamberlain, your captain on our journey to increase wisdom and create a living legacy. Thank you for joining us today as we explore wisdom on our 2nd millennium of podcasts. This is Day 1073 of our trek, and it is time for our Philosophy Friday series. Each Friday we will ponder some of the basic truths and mysteries of life and how they can impact us in creating our living legacy. 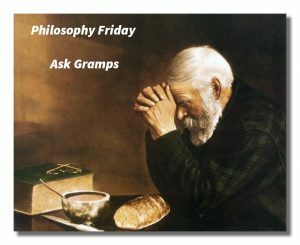 As we continue on this trek called life, sometimes we have questions about life, so our Friday trek is a time when we can “Ask Gramps.” Gramps will answer questions that you would like to ask your dad or granddad, but for whatever reason are unable to. No matter how old we are, I know that all of us would like the opportunity to ask Dad or Gramps questions about life in many areas. 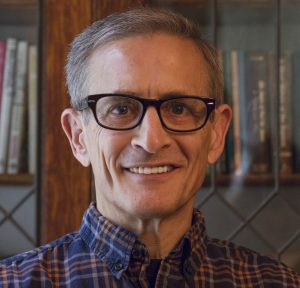 After investing 31 weeks focusing on the Enneagram, we are switching back to our regular “Ask Gramps” episodes. We may mix it up a bit on our Friday episodes, but we will strive to keep them down to earth and enjoyable. If you have been a long time listener to Wisdom-Trek, you may remember that 19 months ago I fell from a ladder and fractured my femur bone right below the hip ball. The operation to repair it required a rod inserted down the center of my femur through the hip socket with a screw placed in the hip ball and another one right above my knee cap to hold the rod securely in place. On the day that this podcast originally airs, I am scheduled for outpatient surgery to have the rod and screws removed. Since I exercise a lot, the rod and screws are continually rubbing on my thigh and hip muscles, causing an irritating amount of low-level pain. I could leave the rod and screws in my leg the remainder of my life, but given an option to have them removed, I chose the latter. “Hey, Gramps, even though your surgery is outpatient and should not cause a problem, are you afraid or fearful to have the operation? That is a great question. None of us like to have our bodies cut open, let alone choosing to have the procedure, when it is not required. I have heard the question before…what is the difference between major surgery and minor surgery? When you strip away all other concerns, major surgery is when it is performed on you, minor surgery is when it is performed on someone else. Any time you have to be put completely under anesthesia, there is a heightened risk of complications. That is certainly a concern. During the operation the surgeon will need to make three incisions to remove the rod and two screws, and the primary cut for the rod will be about 3” long. That is also a concern, as there is a lot of bleeding and subsequent bruising. On top of these two concerns, I had to also take into consideration that when I had the original surgery, my pulse dropped dangerously low three times. In the emergency room, during the operation, and once afterward. We were told that the surgeon did give me a shot of adrenaline to stimulate the heart during surgery. My low heart rate was partially due to the fact that I was in very good shape physically and do a lot of running so prior to the accident my resting heart rate was only 50 bpm. So back to the question, Gramps, are you afraid? I have to admit that as I record this podcast, which is the day before my surgery, there is a bit of both excitement and trepidation. I am excited that, after a period of recovery, I will no longer suffer the on-going pain caused by the rod and screws, but I also realize that no surgery is risk-free. While there is some apprehension, I would not classify it as an intense fear. First of all, I realize that God is ultimately in control of all things, including every breath that I take. If something were to go wrong during surgery, God is aware of it, and is in control of the situation, even to guiding the hands of the surgeon. 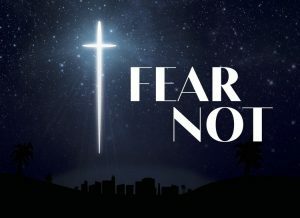 Second, while there are times when we need to be cautious so we do not put ourselves in harm’s way, throughout the Bible, we are exhorted not to be afraid or fearful. I can rest in the fact that I have taken care of myself physically, so I am very healthy going into the surgery. I have taken care of my mental and emotional states, so I am prepared emotionally and mentally. I have a strong family support system that will be with me during the surgery, but also help with rehabilitation afterward. I have also prepared myself spiritually by investing time in God’s Word and in prayer on a daily basis for many years. So I am certain that God, who began the good work within you, will continue his work until it is finally finished on the day when Christ Jesus returns, Philippians 1:6. 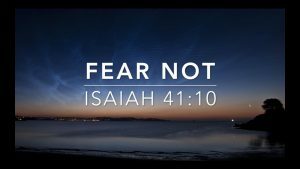 Lastly, I can rest peacefully both before and after the operation realizing that God has proclaimed in His Word that I have nothing to fear as referenced in the following verses. Psalm 91:1 – Those who live in the shelter of the Most High will find rest in the shadow of the Almighty. Matthew 11:29-30 – Take my yoke upon you. Let me teach you, because I am humble and gentle at heart, and you will find rest for your souls. For my yoke is easy to bear, and the burden I give you is light. 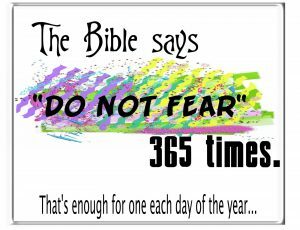 There are many more verses that I can draw on from God’s Word. I am confident that the surgery will be successful and that God will abundantly bless and prosper as I continue to follow Him in building His kingdom here on earth. Join us again next Friday as we have another question on our “Ask Gramps” episode. Our next trek is Mediation Monday where we will help you reflect on what is most important in life. So encourage your friends and family to join us and then come along on Monday for another day of our Wisdom-Trek, Creating a Legacy. 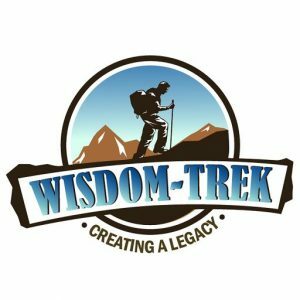 If you would like to listen to any of the past 1072 daily treks or read the associated journals, they are all available at Wisdom-Trek.com. I encourage you to subscribe to Wisdom-Trek on your favorite podcast player so each day will be downloaded to you automatically.